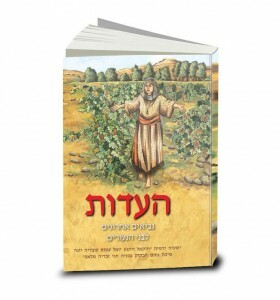 Hebrew speaking Israelis have the privilege of reading the Old Testament in its original language, Hebrew. However, much of what they read, they cannot understand. Languages change. If we go back to the time of King David, who wrote much of the Psalms, we are looking at 3,000 years ago. In addition, the Hebrew language was a dead language for almost 2,000 years, since it was not used as a spoken language, but only for prayers and the reading of holy writings. Israel is a modern country with an ancient history and ancient traditions. It is a land where Orthodox Jews live side by side with secular Jews. But in matters of faith and religion, it is a land of paradox. On one hand, we have an ancient heritage when it comes to our people’s history in the Old Testament. Yet, when it comes to the New Testament, our history and traditions remain relatively young. Though there has always been a remnant of Jews who believed in the true Messiah of God, the church in Israel has become vibrant only in the last two or three decades. This has many implications in the life of the church and the Jewish Christians in the land. One of these implications is the great need for a strong foundation of good and solid literature the body of Messiah can stand upon. Another implication is the fact that most Jewish believers in Yeshua have a limited knowledge and understanding of the Scriptures. This is true mainly of lay people, but also to some degree, pastors, elders, and Christian leaders. Nevertheless, the church scene in Israel is changing rapidly for the better. The gospel is preached boldly. Many are being added to the church, and more believers are acquiring professional education and training. 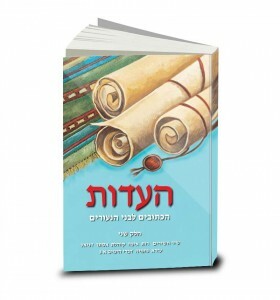 Despite this progress, the average Israeli of today finds the text of the Old Testament difficult to understand as the grammar, style, and vocabulary of Hebrew has changed drastically. This is particularly true of the poetical passages from Isaiah, Jeremiah, Job, Psalms and other parts of the Old Testament. Furthermore, the study of the Bible is an important part of the school curriculum from primary school through grade twelve. However, as the language is so challenging for the children, many of them get bored and frustrated or worse, consider Bible reading and study to be a waste of time or a task that is not for them, but for scholars. Often, they develop an antagonism to the Old Testament that is carried on into adulthood. Our goal is to help young children, youth, new immigrants and other Israelis, develop a love for the Word of God and be able to read and comprehend the wonderful truth that is there. We live in an age when young people are exposed to the Internet, television, smart phones and text messaging. The media has contributed to shorter attention and concentration spans. We have become a generation of “instant” and “fast food.” While we cannot stop this trend, we wish to do what we can to reduce its effects. For this reason, the need for the Children’s Illustrated Bible is great. 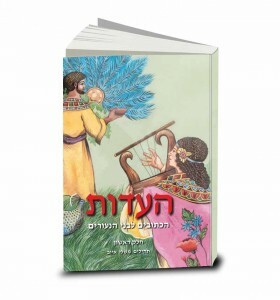 It is a verse by verse translation of the original text, yet the colorful illustrations ease the reading and make it not only more interesting, but also more insightful. The illustrations do much to clarify challenging passages. 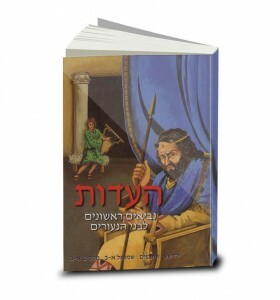 Thankfully, we have completed publishing the complete Old Testament in five beautiful and colorful volumes. So today, the average Israeli cannot only read but also understand what he is reading since the translation is word by word, verse by verse. This can be compared in some ways to Martin Luther’s work of translating the Bible into the German language, enabling the German people to read the Bible for themselves. 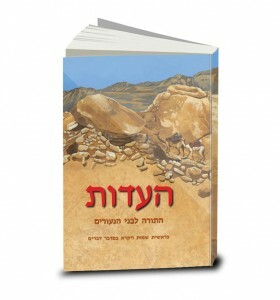 Many Israeli families have been blessed by this project, both secular and Orthodox. 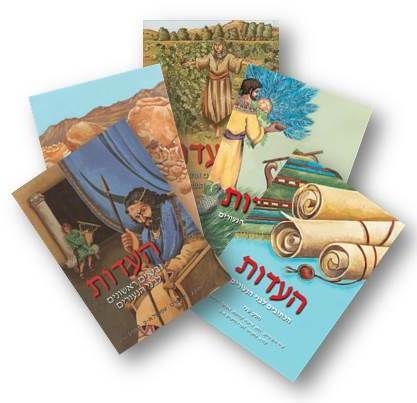 These books have helped not only raise their children’s grades in Bible classes but now they comprehend what they read. We are now looking for ways to put the Word of God in the hands of more Israelis and in particular the hands of non-believers. On this site, you can find a downloadable version of the modern translation available for downloading. Once we have the funding, we hope to publish a parallel Bible, with the Masoretic text on one side and our translation on the other side. We also hope to develop an app for the iPhone and Android. Parallel Bible with Masoretic text on one side and the modern translation on the other side. App for iPhone and Android.